If you have cellulite, just know that you're in good company: Studies estimate that 90% of women in the world deal with those (very normal) dimples, no matter what kind of shape they're in. It's 2018, and there's never been a better time to embrace your body than now. That includes Kim Kardashian West, who recently took to Snapchat to share a variety of beauty products she's currently been trying out—including an all-natural cellulite cream that we happen to love. Oh, and it costs $15. 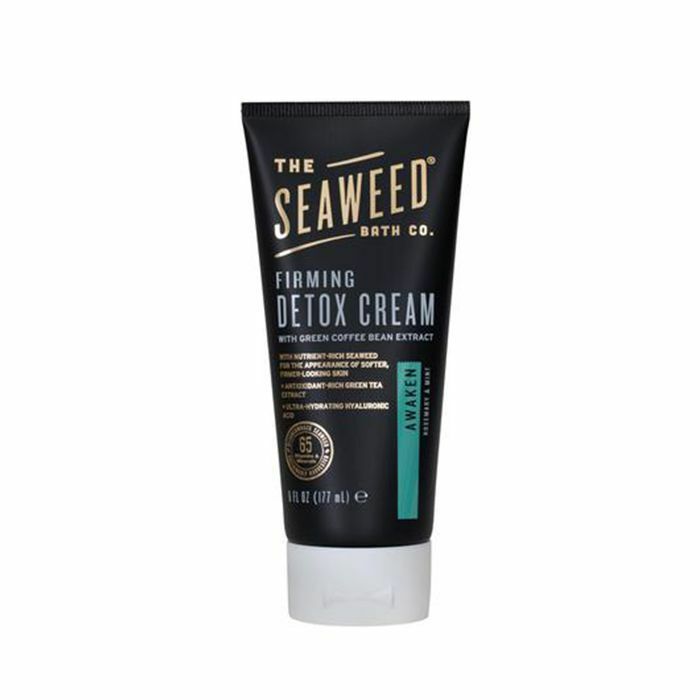 The cream in question is The Seaweed Bath Co.'s Detox Cellulite Cream ($15), a luscious body butter infused with botanical extracts that have been shown to boost circulation and skin elasticity, including coffee bean and bladderwrack extracts. Plus, the rosemary mint scent makes for a spa-like ritual every time you slather it on. It's also packed with hyaluronic acid, which provides a moisture barrier and keeps that area nice and firm. There are over 65 vitamins and minerals blended in this rich cream, so it won't even irritate those with the most sensitive skin. As for the question of the hour—does it really help diminish lumps?—the answer is yes. But we actually love it more for its smoothing and hydrating abilities, since dry skin tends to exacerbate the appearance of cellulite anyway. Either way, it's a great find for summer—and a wallet-friendly one at that.